I Will Give You 100+ online Votes Any Contest Voting Website within Few Hours.We Take Maximum 3-4 Hours Complete Your Order. 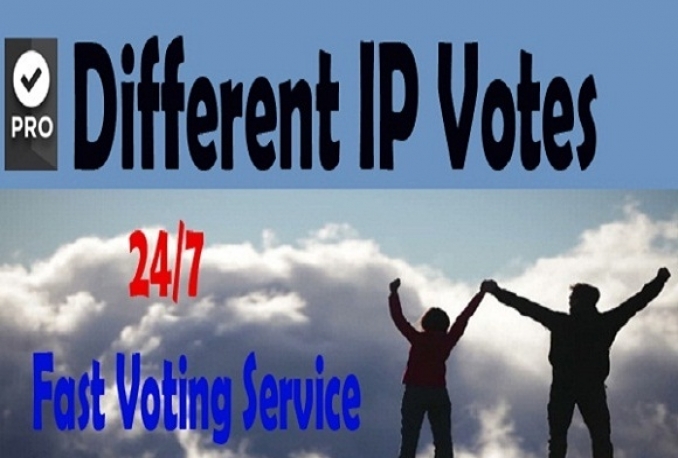 Normally 100 Vote online voting contest for $5 USD but sometimes 100 polling price increase from $4 USD. Price depending on the contest voting system or step.